Credit score calculations are complex. All the information in your credit report is analyzed by a mathematical algorithm and distilled down to one number that predicts your creditworthiness. Lenders use credit scores and loan or credit card application information to make decisions about granting credit and how much interest to charge. The most important thing for you to know are the six primary pieces of information from your credit report that will determine your credit scores. Paying your bills on time every month is the most important thing you can do to get or maintain good credit scores. In most credit scoring models, payment history counts for about 30% to 35% of your score, so pay at least the minimum payment due on time every month. Late payments, accounts in collections, foreclosures and short sales will have a negative impact on your scores. Your credit utilization ratio is the second most important factor. The credit utilization ratio is how much you are spending on your revolving credit accounts in relation to your credit limits. Lenders consider it a sign of risk if your credit utilization ratio is above 30%. Put simply, if your credit limits on all your revolving accounts add up to $3,000, keep your balance owed below $900. A hard inquiry is posted to your credit file when you apply for credit. Inquires have an impact on your credit scores for a short amount of time. The best approach to manage inquiries is to only apply for the credit you truly need. 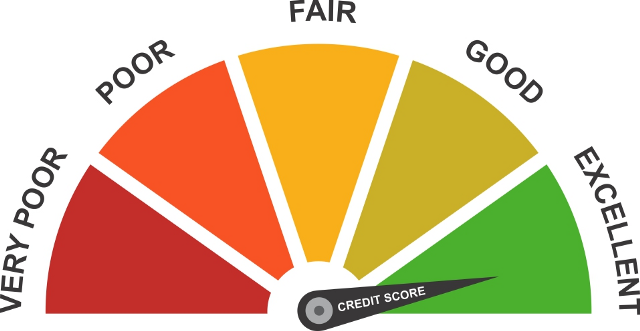 The best credit scores are generated from a mix of types of credit. This means a mix of revolving credit lines, like credit cards, and installment loans, such as auto and mortgage loans. Also, long credit history that shows you have had credit accounts open for a number of years is best. The amount of debt you are carrying across all your accounts in comparison to your income, called your debt-to-income ratio, is something lenders will sometimes look at in conjunction with your credit reports and credit scores for certain types of loans, such as mortgage loans. In general, the less debt the better. Public record information, such as a bankruptcy, typically has a very negative impact on credit scores. But the good news is that the types of public record information included on your credit report has changed. As of July 1, 2017, most tax liens and nearly all civil judgments have been removed from consumers' credit reports and will no longer be included.